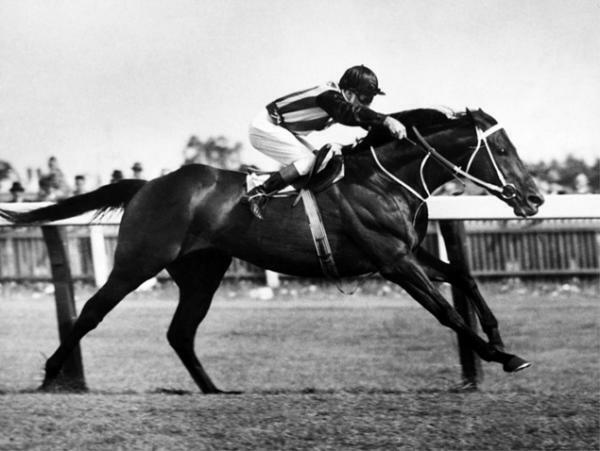 After three years of extensive research and investigation, the incredible story of a racehorse that became a turf legend, can now be told. This is the definitive chronicle of TULLOCH - the galloping marvel who was shrouded in drama and controversy; TULLOCH's story will entertain, shock, sadden, elate and enthrall. Journey down a path that only few are privileged to tread...champions come once in a lifetime. Follow TULLOCH's fascinating career from one milestone to the next; relive the euphoria of his 53 starts in a vintage period of Australian racing. 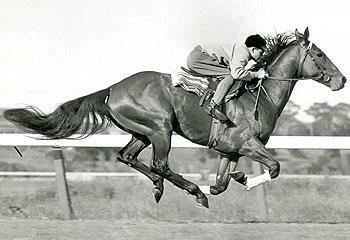 Here was a galloping freak, unshackled by the normal confines of weight and distance...a record-breaker both on the track and in the quest for dollars...a rarity that never once ran a bad race. This was a horse that returned successfully from the edge of the grave and remained competitive to the very end. Marvel at the blistering speed responsible for the fastest mile-and-a- half ever run in Australia. 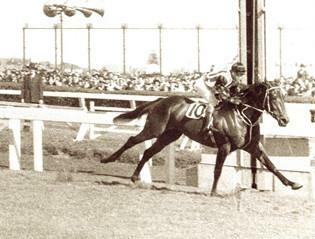 Judge for yourself the controversy surrounding his scratching from the 1957 Melbourne Cup. Hear Bert Bryant's sensational call of, "The Come-Back Race", while you watch in living color. Share the excitement and emotion of his last race. 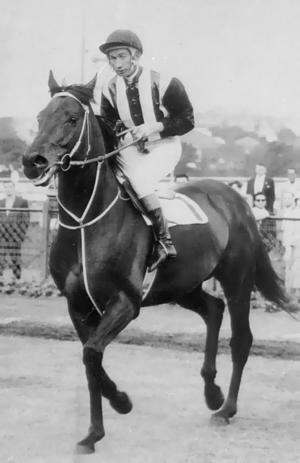 TULLOCH, foaled in New Zealand (1954-1969) was a Thoroughbred racehorse, who is regarded as one of the three finest racehorses in Australian racing history. 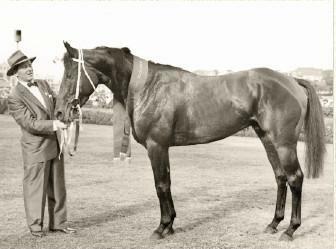 He won at distances from 5 furlongs (1,000 meters) to two miles (3,200 meters), established Australian records at 10 furlongs (1960 Cox Plate) and 12 furlongs (1957 Caulfield Cup), and took two seconds off PHAR LAP's 28-year-old record for the AJC Derby. 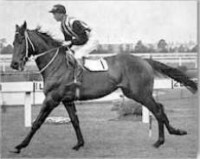 As a three year old TULLOCH won 14 of his 16 starts before he was struck down by a virus which kept him off the racing scene for almost two years. He came back to racing as an autumn five year old and won 15 of his last 24 races. TULLOCH was one of the five inaugural horse inductees into the Australian Racing Hall of Fame, alongside the other turf immortals CARBINE, PHAR LAP, BERNBOROUGH and KINGSTON TOWN. 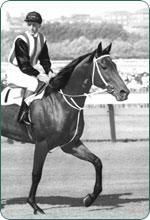 TULLOCH is also an inductee in the New Zealand Racing Hall of Fame. This moving and unforgettable story is told through rare archival footage, dramatic re-enactment and exclusive interviews with TULLOCH's connections. 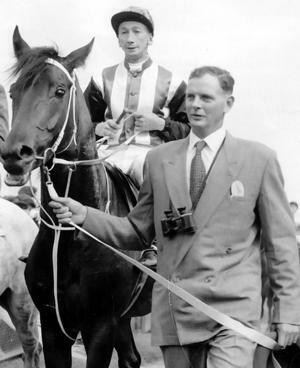 A wonderful journey through the glorious period in Australian racing history, this stirring documentary has already become a collectors item. 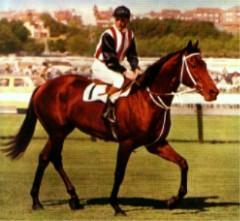 This is an exceptional story in every way, a must for all racing and sporting enthusiasts!